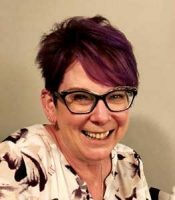 Nancy Wilkes has been in the Optical business since the late 1970’s and has been a Registered Optician since 1982. After leaving the family business, Nancy worked for large Optical corporations both in retail and within management until she and her daughters moved to Acton. Following her Father’s foot steps she opened her own business Acton Optical, in 2005 in beautiful Downtown Acton. Running a family run business has been her passion and her daughter Nicole is now a Registered Optician making her a third generation Optician. Nancy was honoured to receive the Entrepreneur of the Year award in 2006 in recognition of starting a small business with a high level of business ethics, superior customer service, and demonstration of creativity and innovation. Nancy is happy to be back on the Downtown Acton BIA Board after a 5 year absence. Nancy is also a Rotarian, is a Board Member for South West Energy/Quality Tree, sits on the Advisory Committee for North Halton Mental Health, and has been a Director on the Halton Hills Chamber of Commerce.